Born in Darwin in 1929, Jacqueline's childhood was spent in a succession of bush towns before she was sent to school in Darwin. 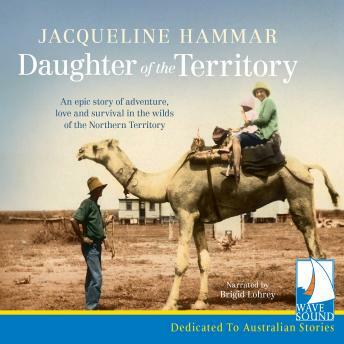 Returning to her beloved Territory, Jacqueline met and married stockman Ken Hammar, and they moved to a vast property in one of the most inaccessible areas of Australia. With only a kerosene stove, scant possessions and a bed, Jacqueline's determination and courage helped her survive many hardships, as they created a prosperous million-acre cattle station.